My second edition of Monday Love – I hope you enjoy! Something personal: If only meal times at our house were a peaceful time for conversation (as the quote implies). If dinner tonight is any indication of our future, I’m not sure when we will have another conversation! We do our very best to eat together as a family, especially for dinner. However, Jake being 18 months old and Kylie being 4, there is much more yelling, screaming, food throwing and all-out chaos than there is easy conversation these days. Assuming this will change over the years, we plan to keep at it. Wish us luck! I snapped a quick pic with my point and shoot. 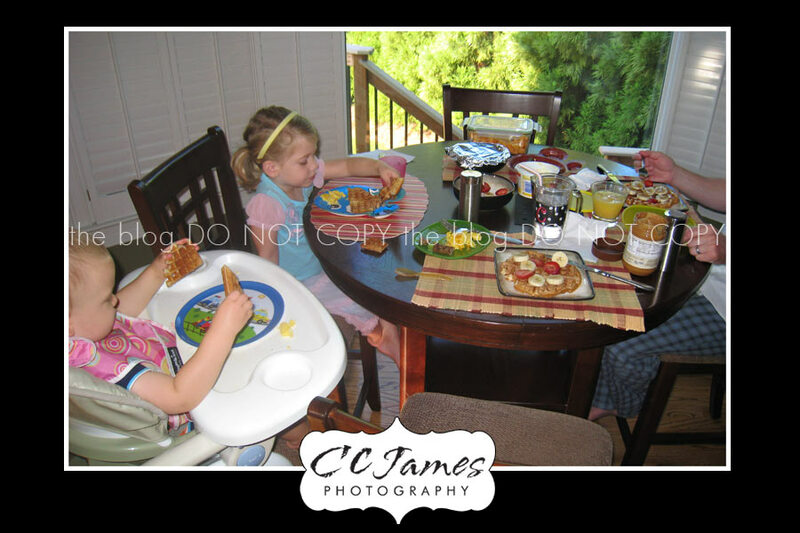 Jeff would probably throw something at me if I tried to get the beast out and take “pro-pics” of our family breakfast. I kindly cropped him out as well…..
Something I love: I LOVE ice cream. More specifically, my favorite ice cream is Jamoca Almond Fudge from Baskin Robbins. More recently though, I have a new obsession. Cold Stone Creamery: Founders Favorite with Coffee Ice Cream (instead of vanilla) and ALMONDS instead of Pecans. It’s AWFUL (and by awful I mean AWESOME) and so bad for me – but I LOVE, LOVE, LOVE it! Okay, that was my confession. 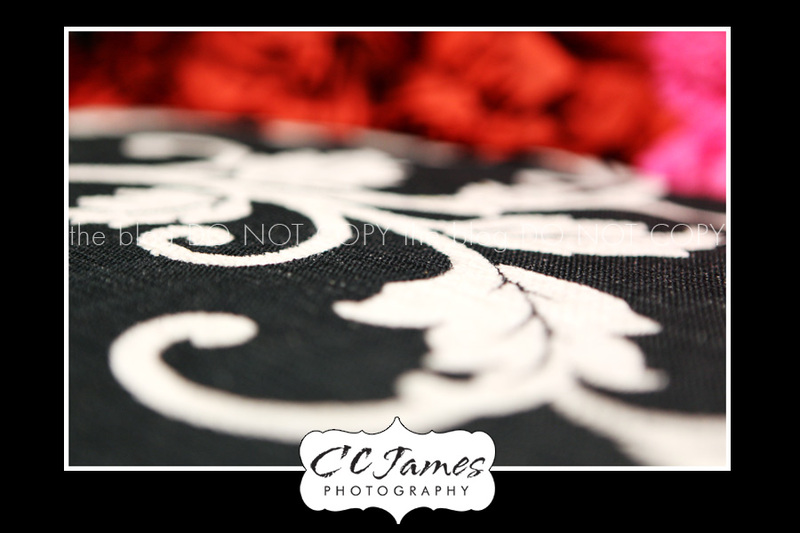 A peak: Here is another little preview of the new things happening behind the scenes here at CCJames Photography. Stay tuned for sneak peaks from another beautiful newborn and two sweet kiddos! HAPPY MONDAY! !